A study developed by the Institute of Oncology Vall d’Hebron in Barcelona, Spain, and published by Science Magazine has shown a correlation between a specific bacterium and the development of bowel cancer. Scientists participating in the research have linked Fusobacterium with the development and metastasis of this disease, which usually appears in the microbial ecosystem of the large intestine. According to Paolo Nucifro, co-author of the study, this bacterium might provoke molecular alterations that could cause the creation of cell tumors. The research team detected the existence of Fusobacterium in 70 percent of the 200 bowel tumors analyzed. Cases of colon cancer that has spread to the liver were also analyzed. The findings indicate that, when the cancer metastasizes to the liver, it carries the bacteria with it. “This really suggests they may be traveling with the cancer,” said Dr. David Relman, a microbiologist and infectious disease specialist at Stanford and the Palo Alto VA, to The New York Times. 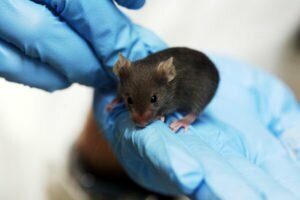 Scientists treated mice with the tumor with Metronidazole, which halted tumor growth by 30 percent. The team considers that a possible treatment will require the development of a specific antibiotic for Fusobacterium to treat patients with chemotherapy and antibiotics. Each year around 775,000 people die worldwide due to this disease, while according to INCAN, bowel cancer is the fourth most common cancer in the Mexican population.